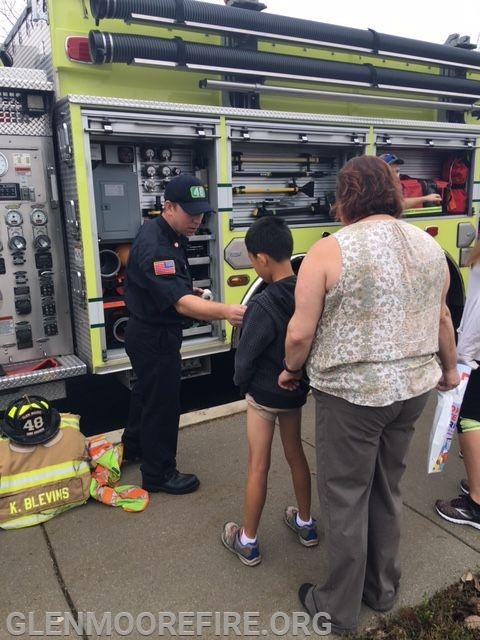 On Tuesday 10/9, a group of volunteers spent the day at Springton Manor Elementary School. 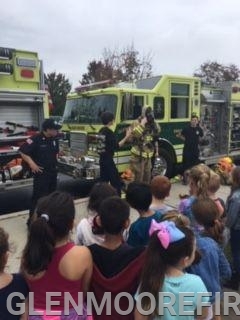 The firefighters gave fire safety presentations to about 500 students. 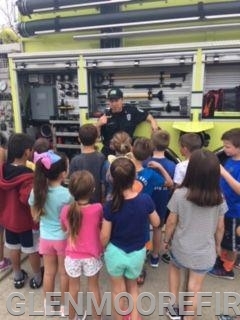 Topics included what number to call in the event of a fire; how to practice a fire drill at home; and Stop-Drop & Roll. Many of the presentations were given by the junior firefighters. 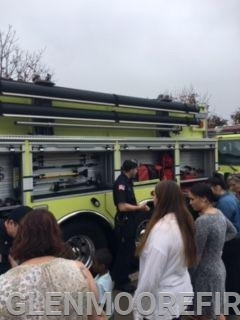 This was a great opportunity for them to interact with the community and share what they have learned in their roles. 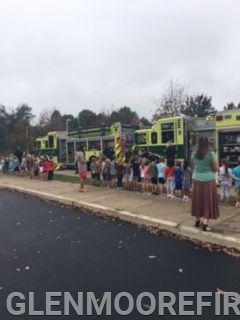 Many of our junior firefighters attended Springton Manor for their elementary education. 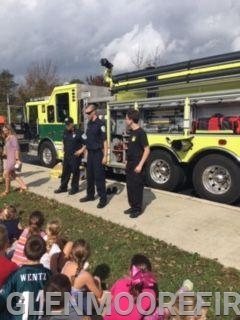 All of them did an outstanding job presenting to the students. 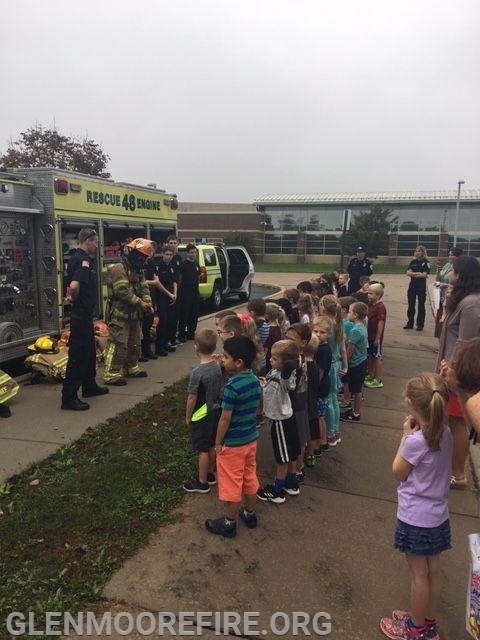 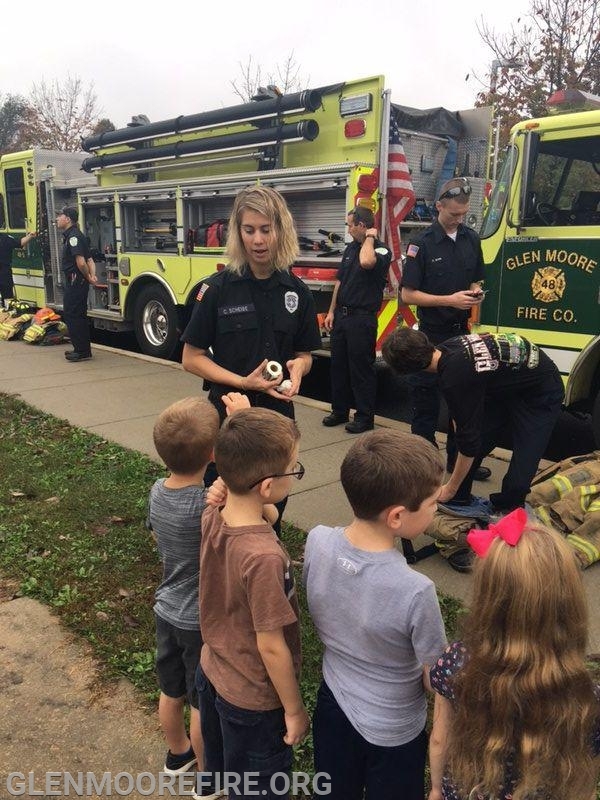 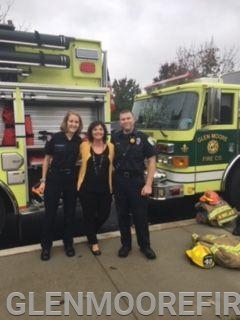 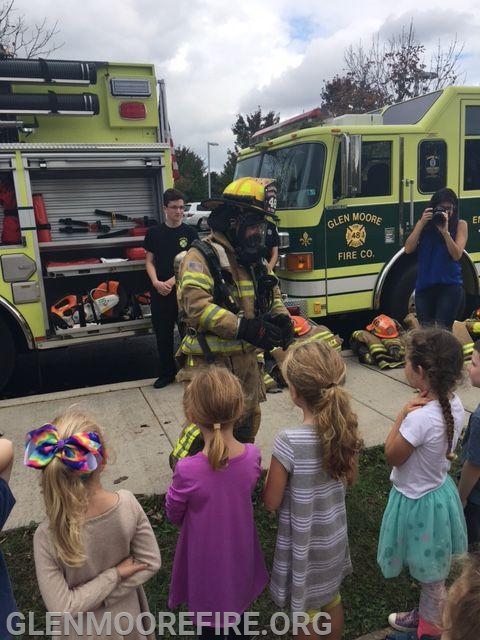 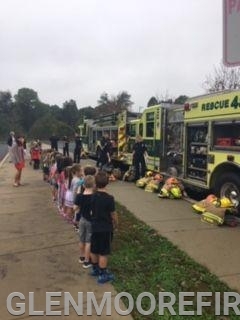 Each year, the Glen Moore Fire Company gives this fire safety presentation to the students. 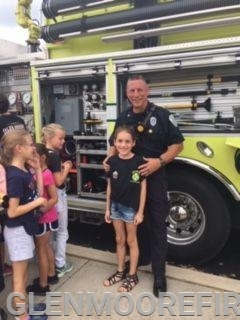 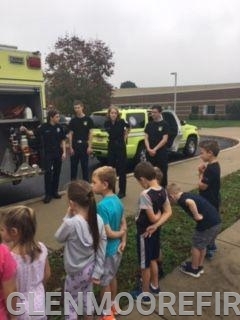 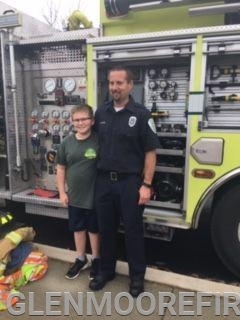 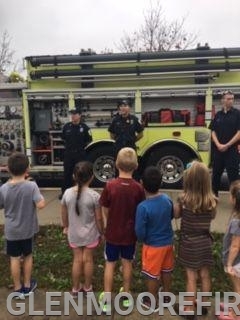 The fire company would like to thank the staff at the Springton Manor Elementary School and the Downingtown Area School District for hosting us.